I've had this knife a couple of months and have taken it through a few workouts. Baton and feather sticks just fine within the range of the blade. I really like the look of it and the gray finish is excellent, scales outstanding. No complaints. It appears to be the son of the Buck Reaper but much better. If you have an interest the scales are interchangeable with the Buck Reaper. It seems to be a solid knife and has a beefy thicker blade than you might expect. Because I split my time back east and out west I now have two of these knives. 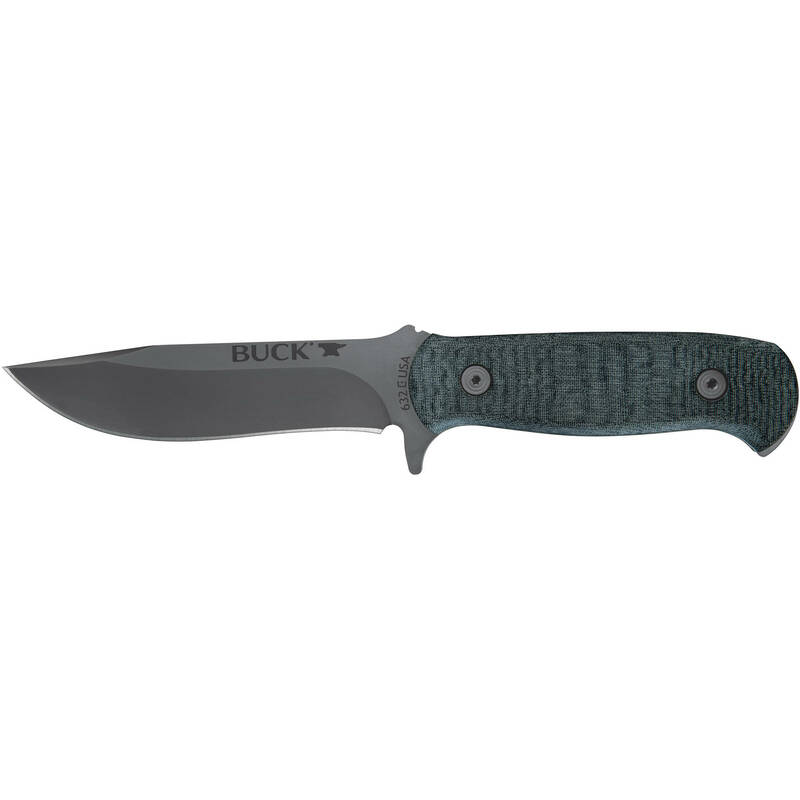 Sheath is light but excellent for the price point and has a solid \"click inch when inserted. The sheath has \"thumb ramps inch on each side of the sheath but seems to me to be a right sided sheath. You view may vary. Along the lines of the Selkirk sheath. Buy one, it's good for Buck and good for America.